Antiqued furniture can be a beautiful addition to a room, but the price tag can be much less attractive. Get this popular look for less with an inexpensive DIY stain made from two common household ingredients. A weathered finish on a beloved table or chair chronicles the story of a bygone era. But while authentic antique pieces can make great investments, they aren’t always readily available—or within our price range. Fortunately, there’s a simple way to achieve this highly sought-after look on your existing furniture using nothing but two items you probably already keep in your pantry: steel wool and vinegar. Start by ripping a pad of #0000-grade steel wool into smaller pieces and stuffing them into a mason jar. Next, pour in about 1½ cups of white vinegar. Let the solution sit for at least two days so the wool can dissolve in the vinegar, turning it a silvery-gray color. While you wait for the mixture to oxidize, sand down your piece and take note of the type of wood. If it’s a light-colored wood like pine, you’ll want to pretreat it with a solution that’s high in tannins, such as tea. To do this, steep five black tea bags in a pot of boiling water for about an hour, then apply the tea to the furniture using an old paintbrush. Allow the piece to dry thoroughly before continuing. When the vinegar-steel wool solution is ready, pour it into a large bowl, using a strainer to remove the solids. Next, apply the stain to the wood with a paintbrush. 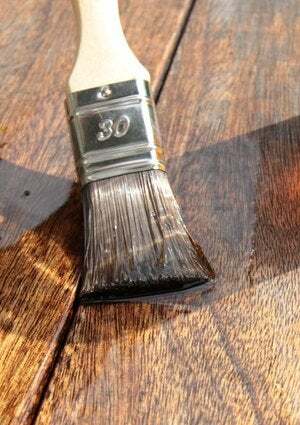 Because the piece may appear darker when it’s wet than when it’s fully dried, let it dry between coats so that you can be sure of the color before applying another layer of stain. 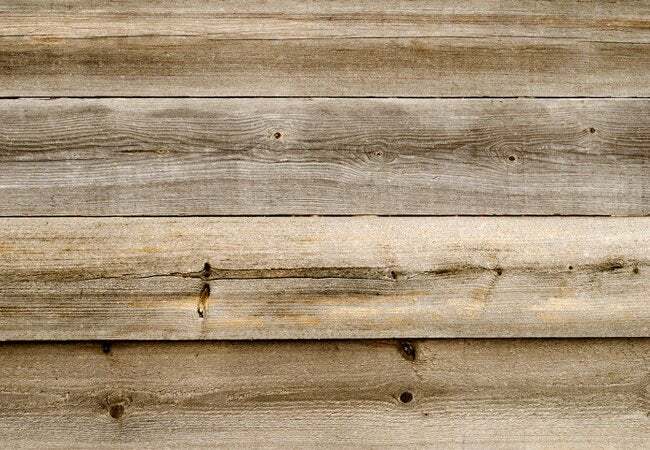 If you notice any drip marks or want a more blended result, buff the wood with fine-grit sandpaper. Finally, seal the wood with a wax finish for a polished, aged look that’s worthy of a high-end antiques shop.